When it comes to treating our facial skin, green beauties love a great face oil. But many of us stick to traditional eye creams when we’re adding in extra nourishment to our delicate undereye area. A few of us, though, are rollerball eye serum converts — myself included — and Josh Rosebrook’s Oculus Formula is easily rising to the top of my must-have eye serums list. Josh Rosebrook’s Oculus Formula is designed to brighten, protect and firm the skin around your eyes with its moisturizing and anti-inflammatory rich ingredients. Josh is something of a wizard when it comes to combining just the right herbs, oils and extracts to get a texture, scent and (most importantly) effectiveness in a skincare product that you just want to use. He bases the formula in beautiful camelina, hemp seed, sunflower, coconut, grapeseed and almond oils. Camelina oil is extremely high in essential fatty acids and reparative vitamin E, delivering moisture and suppleness to the skin. Hemp seed oil, one of my personal favorites, is rich in antioxidants and is extremely protective and moisturizing. You get that luscious texture without feeling coated or thick. Sunflower oil, yet another underrated oil that does so much good for the skin, is loaded with even more vitamin E as well as vitamins A and C, all of which help prevent free radicals from damaging your skin. Coconut oil, which I know many of you have a love/hate relationship with, packs in the moisture and anti-bacterial benefits. If you’re sensitive to coconut oil, be sure to sample, sample, sample to see how blends like this one work for your skin. Grapeseed oil, one of my favorite oils from the beginning of my journey into green beauty (right up there with jojoba oil! ), is also packed with antioxidants, such as vitamin C, and is lightweight enough so as not to feel clogging to the thin eye area. Almond oil helps calm skin allergies and inflammation (hello, eye de-puffer!) and can even help lighten the appearance of dark circles. Organic oils of: camelina, hemp seed, sunflower, coconut, grapeseed and almond; organic herbal infusions of: eyebright, echinacea flower, alfalfa, skullcap, calendula flowers, blueberry, slipper elm, rosemary leaf, chickweed, fennel seed, neem leaf and sunflower seed; organic essential oils of: rose, geranium, lavender, blue chamomile and carrot seed. Leave it to Josh to include thoughtful herbal infusions in his eye serum. I’m always so taken by the beautiful ingredients he uses not just for the sake of saying he uses something that sounds exotic, but for the way he figures out how to source and combine. He chooses combinations of extracts known for their anti-inflammatory and antioxidant properties (to complement the luscious carrier oils) so that puffy, red or sallow eye skin is calmed, soothed and brightened. The herbal infusions help neutralize free-radicals and rev up your skin’s collagen production to firm and tone the skin. We’re talking echinacea, calendula, skullcap and slippery elm for calming and soothing; alfalfa, fennel and chickweed for firming and brightening; eyebright for collagen stimulation; and bilberry for brightening and plumping. And the next step is eating healthy, nutrient-dense foods and hydrating with water and beneficial herbal teas! So there’s no doubt that the ingredients in Josh Rosebrook’s Oculus Formula are top-notch, beautiful and shown to be effective. But let’s talk about the actual experience of using this rollerball serum. First, the packaging is clear and subtle, allowing you to see not only the beautiful golden coloring of the serum, but also to note how far you are from being empty after continual use. While violet Miron glass is all the rage right now from a packaging perspective, there’s something to be said about the functional view of a product. I personally like knowing how far I have left to go so I know when it’s time to reorder. The other thing about this particular rollerball is the use of a metal ball vs. a plastic ball to roll on product. While likely making the packaging more expensive, the experience and feeling of a cool (or even chilled!) metal rollerball on your eyes at night or first thing in the morning can really amplify your experience with this product. I also appreciate minimal styling and design, and the entire Josh Rosebook line is so subtle, sleek and gender-neutral. The clean appearance makes it friendly to guys’ dopp kits — and makes it easy for me to get my beau to try a few things from my green beauty stash (more on this later if you’re interested?). From a texture perspective, Josh Rosebrook’s Oculus Formula is medium-light thickness. You feel like you’re getting a nice, moisturizing eye treatment, yet it doesn’t just sit atop the skin. I can use this eye serum in the morning before I apply makeup (I wait maybe one minute for it to sink in), but I can also load this on during airplane travel to keep my peepers bright and hydrated in dry cabin air. I will have to say that it’s probably the fastest-drying eye serum I’ve tried so far that is actually an oil (and not a water/oil serum with a different texture — more on those later). Some of you have mentioned that with eye serums — rollerball, droppers, or otherwise — you experience mild irritation to the sensitive eye area. This is likely due to the use of eye-unfriendly essential oils, extremely sensitive skin or some combination of the two. 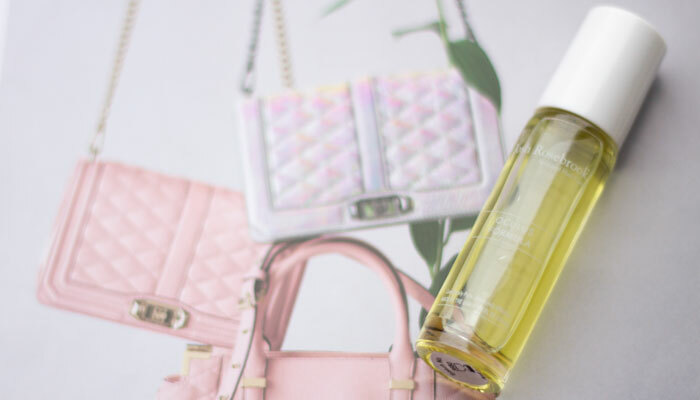 While the eye serums I’ve tried and reviewed have never caused irritation to my eyes, I do appreciate that Oculus Formula is basically scent-free and contains very subtle essential oils of rose, geranium, lavender, blue chamomile and carrot seed. If you have sensitivities to any of these EOs, remember to sample, sample, sample and be very mindful of how you apply the serum. As one of the most-reached-for products in my beauty arsenal, I can confidently say that this is a repurchase for me. 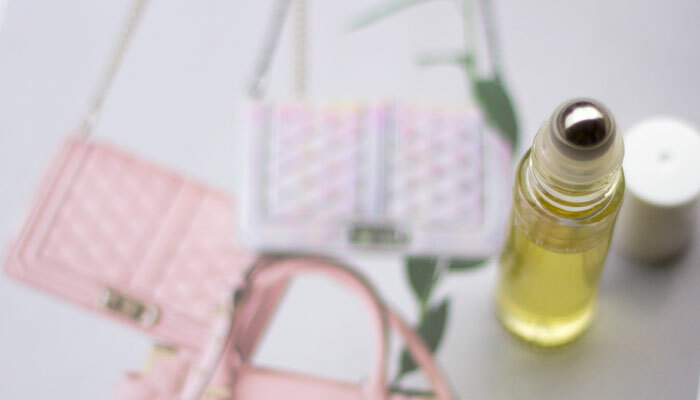 I’ve loved many eye serums, but I’m just very taken by the thoughtful ingredients list, combining carrier oils, herbal extracts and non-irritating essential oils, into a slim, sleek, metal rollerball eye serum treatment. The price tag may seem high, but compared to many eye creams and serums on the green beauty market, it’s fairly priced and so very artfully created. What eye serums do you use? Or are you more of an eye cream person? What do you look for in an eye treatment? Tell me in the comments section!